Paper plates are not just for picnics anymore; they are a very inexpensive art material that all teachers should keep in the classroom. The easiest to use are the plain white paper kind for most projects, and so eco-friendly as they can be recycled when the project becomes old and tattered. Paper plates are easily obtained in supermarkets or discount chain stores. This article gives you instructions for three paper plate dog crafts that are easily adaptable to other lessons. Many pets have their own homes outdoors. Make a paper plate replica of the infamous dog house. Invite the children to paint the entire paper plate the color of their choice. Let this dry thoroughly. Help the children to draw an opening so the dog can go in and out of his house. Use a black marker to draw a U-shape. Let the children cut the U-shape from the plate. Decide which way the children will produce a dog picture (see ideas above). Tape the dog to the back side of the plate having him show in the dog house opening. Cut out a roof shape for the dog house and glue this to the top of the paper plate. With a marker, help the children write the dog's name (their choice) and "dog house" on the roof. The "Pet Store" paper plate craft will feature a dog in the window. This may be a good time to teach the children the famous dog song, "How Much is That Doggie in the Window." Have the children paint the backside of one paper plate the color of their choice. Let dry thoroughly. The teacher can use a blade or scissors to cut out a window opening in the center of this plate. You may tape a piece of clear cellophane to the back of the opening if you wish to represent a window. Glue the dog picture on the second paper plate so that is shows through the window when the first plate is placed on top. Staple the two plates together. Make sure to cover the staples with tape to protect tiny fingers from scratches. 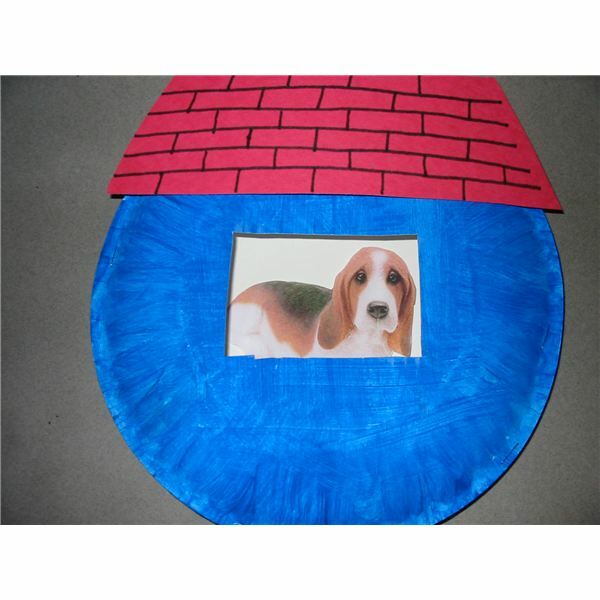 Using construction paper, make a roof for the pet store and glue this onto the outer plate. 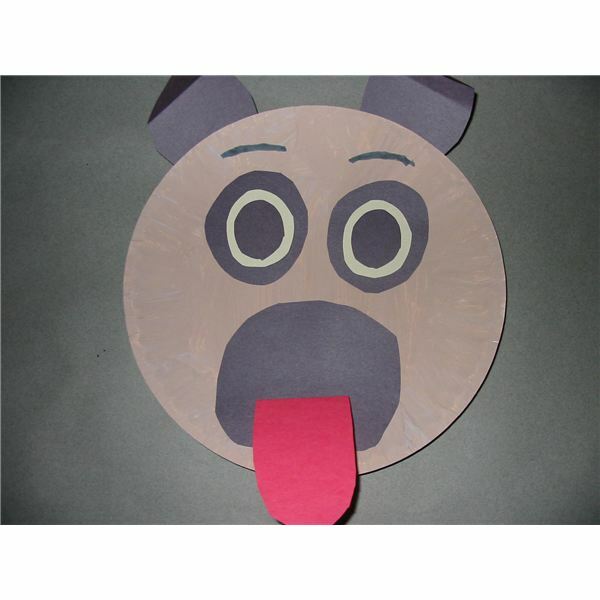 Invite your students to create their favorite puppy dog face onto a paper plate. Remember dogs have various ear shapes and noses. Present different types of dogs to your class through pictures in books. After looking at dog pictures in books, invite your class to make a dog face on a paper plate. Help them draw eyes, snouts, tongue, and ears on construction paper. Have the children cut out the pieces or pre-cut them yourself for the younger groups. Let the children paint the paper plate in a color that is close to a dog's skin/fur. Show them the placement of the eyes, snout, and ears. Glue these pieces in place. If you want this plate to serve as a puppet, attach a craft stick with heavy tape at the bottom. These crafts are a fun way for young children to become creative and make projects they will love. 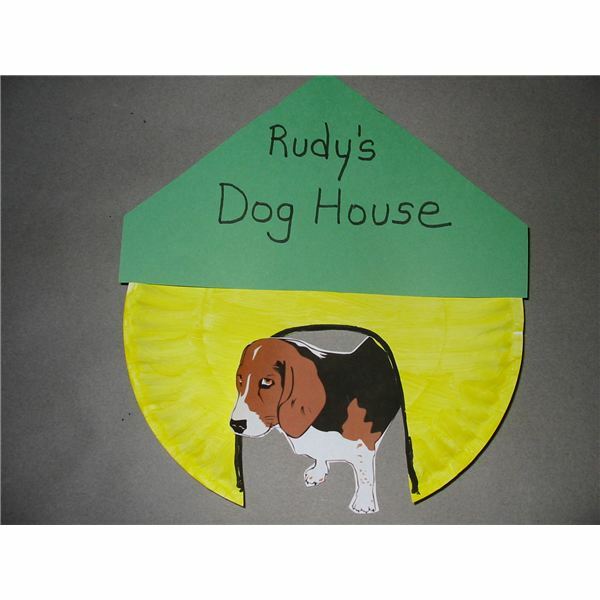 Preschoolers just love puppy dogs so reinforce these art projects with fun stories and songs about canines. Dogs and puppies are favorites of children and a popular theme for preschool classes. Included in this series are articles that take dogs across the curriculum, including art, music, games, and language arts.